Animal photography in the wild or at zoos and preserves. 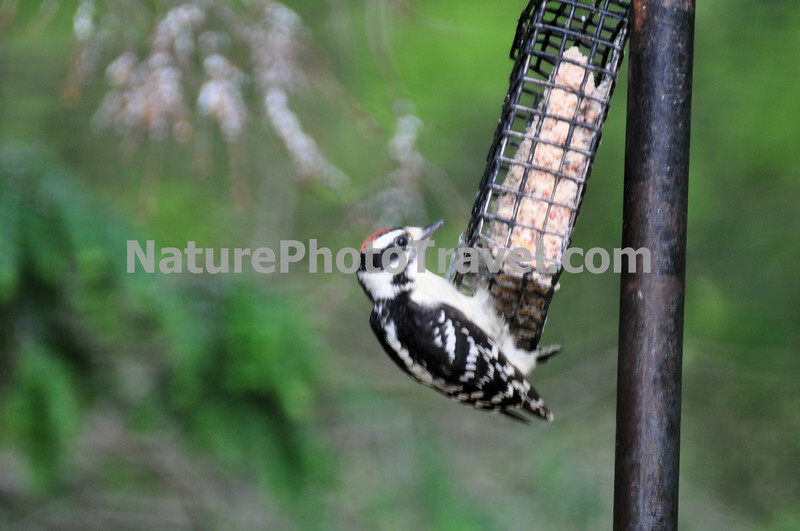 Downy Woodpecker. The active little Downy Woodpecker is a familiar sight at backyard feeders and in parks and woodlots, where it joins flocks of chickadees and nuthatches, barely outsizing them. An often acrobatic forager, this black-and-white woodpecker is at home on tiny branches or balancing on slender plant galls, sycamore seed balls, and suet feeders. Downies and their larger lookalike, the Hairy Woodpecker, are one of the first identification challenges that beginning bird watchers master.